Is his power that of a demon, or of a god? 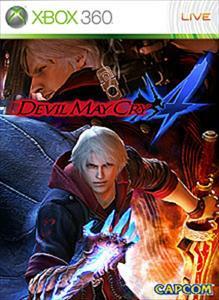 New main character Nero and his demonic devil bringer add speed and style to the Devil May Cry series! Experience advanced gameplay along with gorgeous cutting-edge graphics. Thanks to the power of the latest graphics hardware, the stylish action runs at an incredible 60fps so you won't miss a beat! This is true next-generation entertainment!